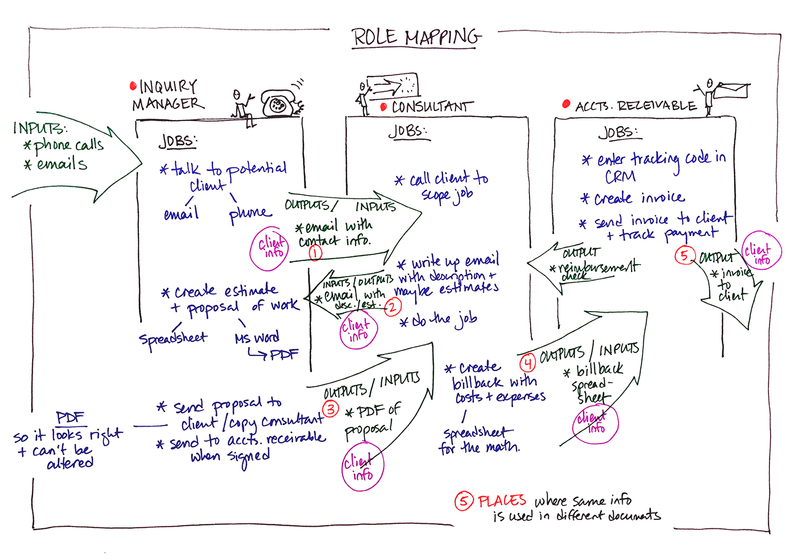 Role Mapping: Do you really know your teammates’ roles? Do you know, I mean really know, what your teammates do? Do you understand their roles to the point where you could fill in for them for a day? Even if you don’t know their roles to that degree, do you know how they produce information they give to you, and what they do with information you give to them? 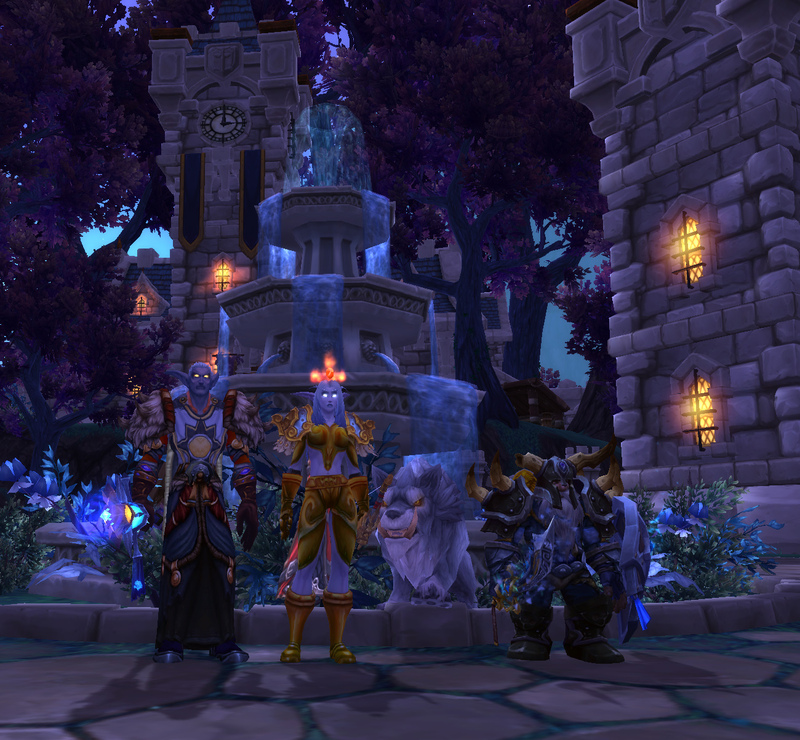 From left to right: Healer, DPS (with pet), Tank. Obviously, each player needs to understand his or her own role in order to be effective. But the really effective players — the ones you always want in your party — are the ones who also have a deep understanding of the roles they are not playing. Here’s why: A tank who deeply understands the healer’s role can time his or her own actions so that big-burst damage is mitigated by a tank ability, allowing the healer to more effectively keep the tank’s health stable by not spending precious resources on sudden massive heals. Healers who understand how the tank works know that if a monster does latch onto them, the best thing to do is run toward the tank, who has the ability to attract the monster’s attention so it forgets all about the healer — rather than running away, which is instinctive but not at all helpful. 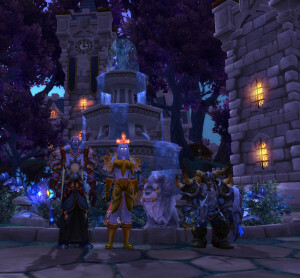 DPS who understand the other two roles can modify their own behavior to maximize their ability to do their primary role — dealing damage — while not draining the healer’s reserves, which are really needed for the tank, or pulling the monster away from the tank and causing it to run amok among the party. Even a basic level of understanding of other roles is helpful. When you run into tanks who also have a healer class character, or DPS who also have a tank character, the difference really shows. They do their jobs in a way that makes the other roles even more effective at theirs. The same is true for a working team: the better you understand your teammates’ roles, the more effective your team can be overall. The points where your work overlaps theirs, or provides inputs to theirs, are where your team will feel the effects the most. Mapping out the intersections of your roles will give your team clearer insight into how to work together more effectively. Here’s one way to do that. Choose a time when everyone can get together. If your team is distributed, consider supporting the meeting with graphic recording or graphic facilitation to create the maps of team interactions. Set aside at least an hour for the initial conversation. Get the team together. Compare your lists and rank the items to decide where to start. Look for items that appear on several lists, and start there for the biggest impact. Alternatively, select the most high-profile activities on the lists as a starting point. Take a few minutes to map out what happens around each item on the combined list. Give everyone who touches that item a chance to explain what they do and how they do it. What tools do they use? What information do they need to have handy when they start? What format do they prefer to work with? Allow everyone to describe their workflow and preferences without trying to problem-solve at this point. Just listen. It might help to draw a picture of the process as it is described, using a whiteboard or large sheet of paper. Make notes of questions or issues as they come up, but don’t try to solve them yet. Once everyone has spoken, have a conversation about the questions, issues, and other flags that came up. You might find that something as simple as changing the way information is conveyed or presented might make a big difference to the recipient. And once you understand why someone wants it this way or that way, it’s often easier to modify your own workflow slightly to accommodate them. Use a flip chart to clearly record new agreements or procedures your team wants to try. Repeat the process for each item on your combined list (this might take more than one meeting). At the end of the meeting, review the flipchart of agreements and make sure everyone understands what he or she has personally agreed to do. Agree on an evaluation period — two to four weeks, perhaps — after which you will all reconvene to talk about whether the changes are helping, identify new issues that have come up, or discuss new ideas. This activity is particularly valuable for distributed teams where members do not have a way to physically see what their co-workers do. On teams like that, the way that inputs and outputs are created and delivered can make a huge difference in team effectiveness. For example, it’s common for someone to create a document and send it as a PDF, but if the recipient needs to extract information from the PDF to use elsewhere, it can be time consuming. Something as simple as switching to a shared document editor or keeping the shared information in another system might result in a much smoother workflow. Once you understand more about the work your teammates do and how they do it, you can play your role in way that helps others be even more effective. Even if your goal isn’t to slay a giant monster, you’ll still make better use of everyone’s abilities! Posted in everything. Tagged with collaboration, teams.